Angela Maiers has a lot of experience teaching students and educators on how to build systems and environments that promote learning and education. She has many educational goals, but one of her favorite is liberating genius. Listen to Episode 39 of the Defining Success Podcast to learn how Angela Maiers is helping to liberate the genius of others. 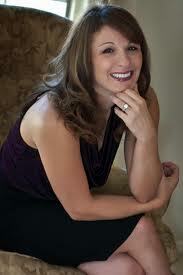 Angela Maiers is a teacher, educator, author and consultant. She has spent the past 22 years working diligently to help learners of all ages succeed by recognizing their powers as readers, writers and global communicators. Whether she’s addressing an auditorium full of educators or sitting on the floor helping first graders find their way through the pages of a good book, Angela’s message is the same – literacy changes lives. Angela got in education because she knew she was destined to be an educator. She was on the path to become a doctor and was working four different jobs, all of which had to do with children and someone asked her why she didn’t choose education. Angela realized that education was her calling and took up the cause. She has always been passionate about learning, how the brain works and how to promote learning. It compelled her to never look back and pursue how to help others learns. Angela’s background was in linguistics, reading and writing and social media was just an extension of that to her. She began blog writing to explore her own writing and eventually began using her blog for educational purposes. She encountered a very passionate online writing community and social media and Twitter have always help her to increase her literacy. Social media has revolutionized communication and it’s fascinating to see how our world has changed. One thing that Angela suggests is that, for educators, we constantly promote the tools when we should be promoting the people. Social media allows for conversation and discussion on a wide variety of topics and creates new ideas for people moving forward. By communicating with others on social media tools, you not only get to learn from passionate, highly-qualified educators, but you get to learn with them and that process is a “game-changing” process. When you talk about learning it doesn’t matter how you do it, but once you’re in the communities you don’t really talk about the tools, you talk about the community. 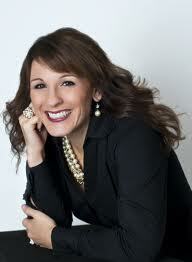 Angela Maier’s passion and her main goal in life is liberating genius. It doesn’t matter what room she is in or who she is speaking in front of, Angela works hard to unleash the potential of not just the individuals in the room, but in the room as a whole. Your job is not just to unleash the genius of the individual but to unlock the genius that exists collectively in the room. Right now we see individuals that are doing amazing things, but are we liberating genius in our collective intelligence, which is the wisdom of the community. The only way you can leverage the collective community is to have someone who can lead the community and we are just on the edge of unleashing this potential. Several years ago, Angela wrote a book on how to create an innovative, passion-based culture, where she used models like Google, FedEx and 3M, companies that have created a culture of innovation. Many of these companies give their employees the opportunity to work on something they were passionate about for 20% of the time they were at work. Angela applied this system in the classroom and first began teaching students about passion and learning about a cause, project or subject. Once students began to connect with other communities to focus on learning a topic, she then introduced ways to create collective action in order to make changes for the better. These changes were usually associated with empathy and compassion for the cause. One question they would ask is “What breaks your heart about that?” And then they would take collective action to fix the problem and change the world. As a result, Angela started a non-profit called Choose to Matter to help change the world. She would then help students use social media to connect with organizations that could help them accomplish their goals. Twitter is Angela’s favorite tool to get more of the information she needs and she also is able to use it to connect with other people. Twitter has so many different functions for Angela. It’s her news source. Her way to see what’s going on in her industry. Her way to connect with experts, family and friends. And her way to engage others more authentically in her cause. When kids want to learn something, kids are not necessarily learning in the classroom anymore. They are taking their learning online. One great example of this is NASA, who has created a tool kit which students can go on to learn and get information from NASA on a wide range of topics. Schools that don’t take advantage of these resources than they will become obsolete. Right now, Angela Maiers is working on a new partnership to provide students with access to real-time information and mentors which will help to inspire the young generations to pursue their dreams. Angela has just solidified a partnership with what she calls living legends to help mentor young students who have made the decision to matter. It’s an exclusive network of four and five-star generals and medal of honor winners and they want to be able to pass their experience and expertise onto the next generation. Last year, Angela Maiers wrote a book called Habitudes and wanted to share and show that these habitudes matter. There are classrooms all over the country are adopting these habitudes. And this is a common language of habitudes. Angela feels like every day is a wow day. Being passionate as a learner and having platforms to share her learning out loud has attracted amazing individuals into her room. She’s learning from educators, students, and leaders and every single day is an exciting adventure. There hasn’t been one day since Angela started working on the web that she hasn’t had a wow moment. For Angela, a wow moment means worthy of the world and it’s when you encounter something that makes you stop and take notice. That is something worth sharing with the world. One thing that Angela would like to instill upon our listeners is that there is genius everywhere. Every person has some form of genius and as individuals we need to recognize what genius each person possesses and incorporate that into our network and our room to make our communities smarter and better at solving our problems. According to Angela, if you have a discussion with 5 year olds and ask them if they think they are geniuses and have something to offer to the world, every student raises their hand. Every year past the age of five, the percentage drops dramatically. Every Google employee believes that they are essential because they have used the skill set of their employees and they celebrate those successes. In order to make change, it’s a culture-shift, not a mind-shift. There are strides and major efforts made to change the dynamics of the current classroom. The idea of being child-centered and the idea that every student needs to learn everything at the same rate are two completely different narratives. Angela thinks we need to shift the conversation and right now the conversation is around standards and directives and it’s changing. Angela gave a TED Talk back in 2011 on You Matter. And when everyone realizes that they matter, the world changes. If you went into every interaction and discussion as if you had the potential to change the world how would you act? Have you had a WOW (Worthy of the World Moment) lately? If so, share it with us. Please sign up for the Defining Success Podcast Newsletter for information on upcoming interviews, reminders of previous interviews and updates on the guests we’ve had on the show and Welborn Media. This entry was posted in Episode 039: Liberating Genius | Angela Maiers from AngelaMaiers.com and tagged 3M, Angela Maiers, Child-Centered Learning, Choose to Matter, Classrooms, Communication, Defining Success Podcast, Educators, FedEx, Genius, Google+, Habitudes, Ideas Worth Spreading, Learning, Liberating Genius, Literacy, NASA, NASA Tool Kit, Passionate, Social Media, Students, Teacher, TED Talk, Ted Talks, Twitter, WOW, WOW Moment, You Matter on August 27, 2013 by Zeb Welborn.